Two of the nation’s top Filipino mixed martial artists are returning to the ONE Championship cage at ONE: GLOBAL RIVALS which takes place April 15, 2016 at the Mall of Asia Arena in Pasay City, Philippines. Both Eric “The Natural” Kelly (12-2) and Team Lakay’s Honorio “The Rock” Banario (8-6) are coming off stinging defeats and are looking to get back in the winner’s circle. The two Baguio City fighters were in Manila Thursday, March 31, to meet with media at a press luncheon. Kelly, 33, and Banario, 26, both spent their previous bouts on the wrong end of Guillotine chokes, figuring in losses to the same man in Malaysia’s Ev Ting. Yet both are ready to get right back in and show the world that there’s still a lot of fight left in the tank. Kelly will be facing the extremely dangerous Timofey Nastyukhin (9-2) of Russia. Kelly was once on the cusp of a featherweight title shot, but after lackluster performances against Hiroshige Tanaka and Ting, the opportunity passed him by. Now, he’s looking for redemption and another crack at ONE Championship gold. “The goal of every fighter is to become champion, but for now my focus is on [Timofey] Nastyukhin,” said Kelly, who is preparing himself in various gyms in the high altitudes of Baguio City. Banario on the other hand is in an unfortunate situation, having lost his last five bouts under the ONE Championship banner. To give credit where credit is due however, Banario lost to some of the best in his division in talents such as Koji Oishi, former champion Narantungalag Jadambaa, Herbert Burns and Ting. Now, Banario faces fellow Filipino and former URCC standout Vaughn “The Spawn” Donayre (8-4). Donayre is a Filipino mixed martial artist based in Dubai, and is also searching for his first victory inside the ONE Cage. “Vaughn Donayre is a complete fighter also. I prepared for this fight. This will be my comeback fight because in the past few years I’ve been losing to the biggest fighters in my division. But now this is a new challenge for me if I can come back,” said Banario, who is hard at work to prove his career is on the verge of a new beginning. “My conditioning is good. I feel strong in this state. I’m very strong at my normal fighting weight. I changed the way I approach the fight. I pace myself more now whereas before it was all fast-paced, that’s why I make mistakes from the first round. Now, I will pace myself until I get my timing down, then I’ll strike,” Banario added. 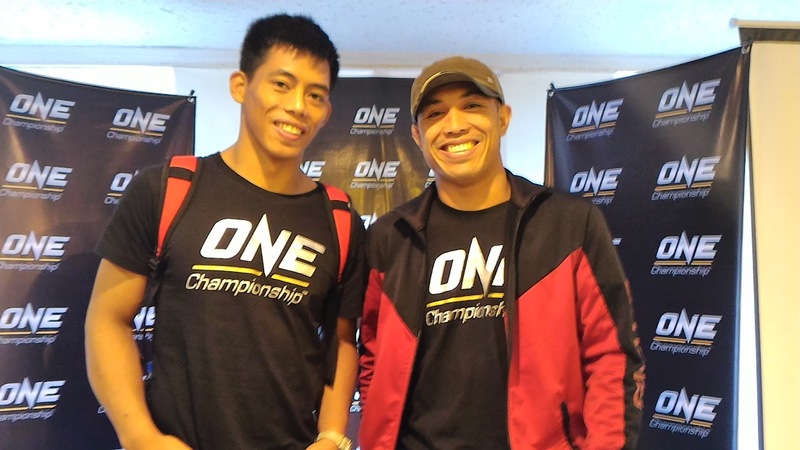 ONE: GLOBAL RIVALS is ONE Championship’s first event in Manila this year, and will be held at the state-of-the-art Mall of Asia Arena in Pasay City. The card will be headlined by ONE Welterweight World Champion Ben Askren as he defends his title against former Combat Sambo world champion Nikolay Aleksakhin of Russia.